The Mormon Young Single Adult (YSA) Blog Spot: How is a college education worth it? My perspective of my college education after reading this article out of the Dow Jones reprints remained mostly the same. After getting an exposure to the great possibilities from an university, my expectations of education has grown. During high school, university education felt to be an option but not the recommendation, especially since I was educated and advised from special education teachers. College education was always seen as the way to learn a profession. The article that this one page paper is about is called “Weighing the Value of That College Diploma” by Sue Shellenbarger. In my opinion it is addressing an audience that is sceptical or questioning the worth of a college education. The following topics will be addressed in this paper: the controversy of student loans, the opportunities of attending a college, and other benefits of thereof. 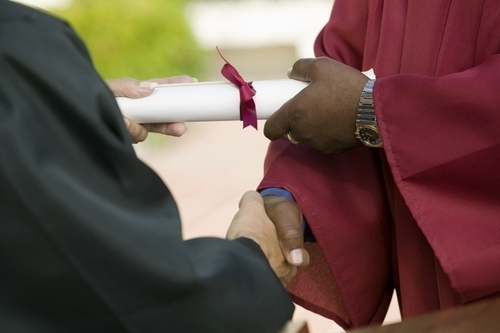 The article is realistic, saying that choosing a degree should have a goal career in mind. If you don’t come out of college with a purpose of your diploma, it will most likely be useless. A statistic from the article that is suprising is that the widening wage gap between college and high school graduates is only sixty percent on average. This facts were informative, but they don’t seem persuasive. Many people are going to college with little job experience, and a college education is costing much more than what it was for the parents. One of the quoted mothers of Sister Shellenbarger’s article claimed that she graduated with a forty thousand dollar loan from Stanford in the eighties. Today the average student loan weight for the class of 2012 is twenty-nine thousand dollars. (http://money.cnn.com/2013/12/04/pf/college/student-loan-debt/) That is only with sixty percent of students borrowing money each year. 10 percent of them about 1.2 million students have more than 54 thousand dollars of debt, and three percent have more than 120 thousand dollars in loans. (http://www.asa.org/policy/resources/stats/) Analysing the statistics, comparing the debt that the mother of the article to the current debt loan, the student loan debt is not bad. (http://blogs.reuters.com/felix-salmon/2012/06/04/dont-cry-for-stanford-undergrads/) The fact has been known that the return in the investment in a college degree has been at least 15%. (http://www.washingtonpost.com/blogs/innovations/wp/2013/09/24/five-myths-about-college-debt) Although tuition prices and expenses are intimating, it is managable, if the cost is prepared for properly. The opportunities of an university are much greater than not going to college. I tried to make an argument against the optimistic article that this paper is based on, but the pessimistic view is so immature compared to the hard working standards required in college education and success. If one wants to wallow in pessimism and despair in life, that individual can choose to spin the statistics. I understand that it is hard to face the investment and risk of thousands of dollars for the future; however, one’s college investment is in themselves. A mature fellow can come out of college education successful easily. I cannot think of an institution with the opportunities as much as a college. Other meaningful statistics in the article that should bouyed up your hope in the benefits of a college education are the following numbers: 42% of college graduate claim that they are happy compared to the 30% of non-college graduates. There is a maturity that is obtained in the youth from college education, for there is a lower percentage of the graduates of these institutions that smoke, and they are more likely to take care of themselves with daily exercise. Sue mentioned that the people that struggle in college and getting into college are more likely to succeed afterward and during. Diplomas alone give limited opportunities, but it gives you the means to accomplish what you desire. If one takes full advantage of the opportunites that will come from a college education, one can succeed in whatever they pursue. When people don’t take advantage of the opportunities of a college degree, doing the bare minimum, the opportunities given to them will be few. In conclusion college diploma are worth the investment; unless, the graduate does not seize the many opportunities given to him or her. Student loans should be okay. There are so many opportunities at colleges and universities that this option should always be recommended first. The standard of living of a college graduate is statistically greater; however, a graduate needs to use the knowledge that is learned intelligently. If not, success is not probable from the education.